Recipe #29 has been on my to-do list for quite some time. 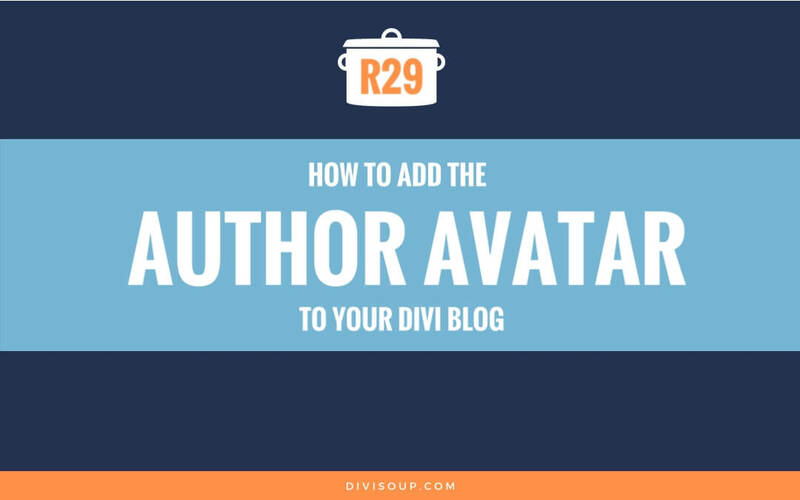 How to add the author avatar to your Divi blog. 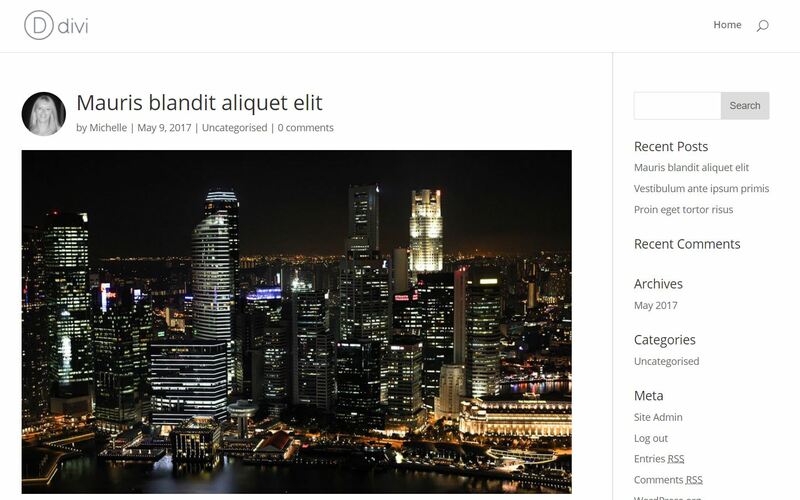 If you run a multi-author blog, or indeed even a blog with a single author, it can sometimes be nice for visitors to see an image of the author on your blog page. So that’s what we are going to create today. 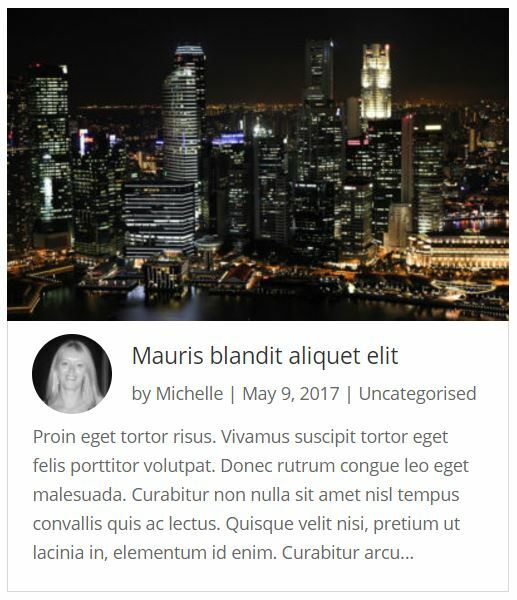 I am going to show you how to add the avatar to the blog module in grid and fullwidth format as well as the single post pages. No plugins, just some CSS and PHP edits. 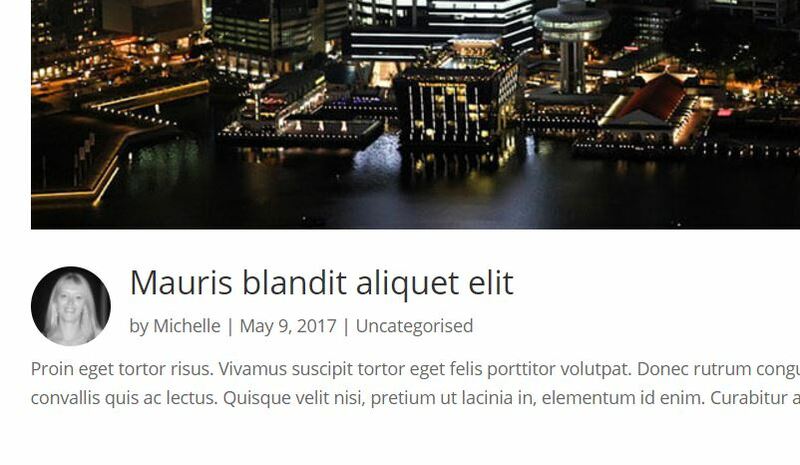 The latest version of the Divi Theme from Elegant Themes. An active child theme. We are going to be making some edits to functions.php and adding two new files so a child theme is imperative if you don’t want your changes overwritten on update. 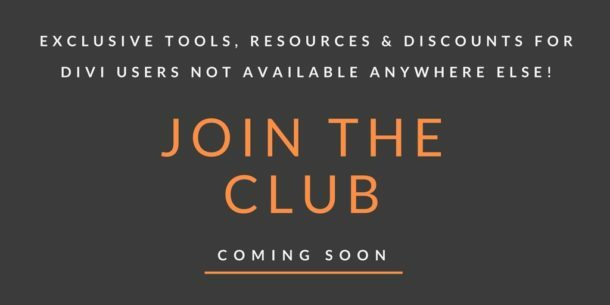 FTP or CPanel access to upload your new files. You will also need to make sure you have an avatar image set for each user who publishes posts. This should take you around 15 minutes. 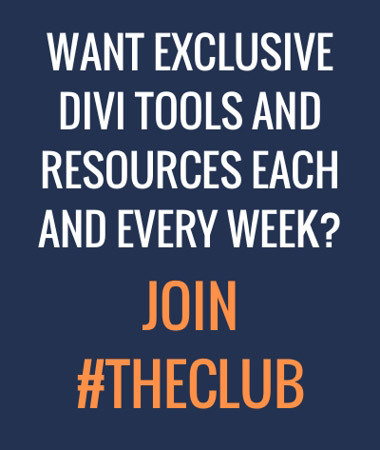 Next, open up the unzipped folder for the latest version of Divi. As of writing, I am using version 3.0.44. 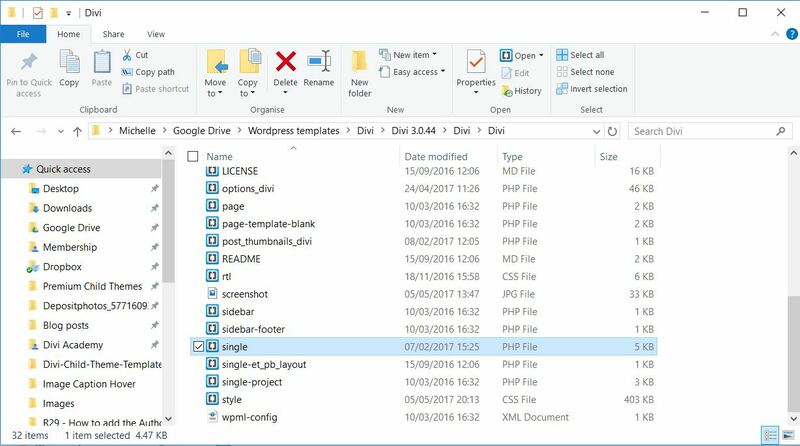 Inside the Divi root folder, find the single.php file and copy that to your child theme folder, paste it in the root alongside functions.php, style.css etc. OK, that’s our prep done. Now let’s get onto adding our custom code. 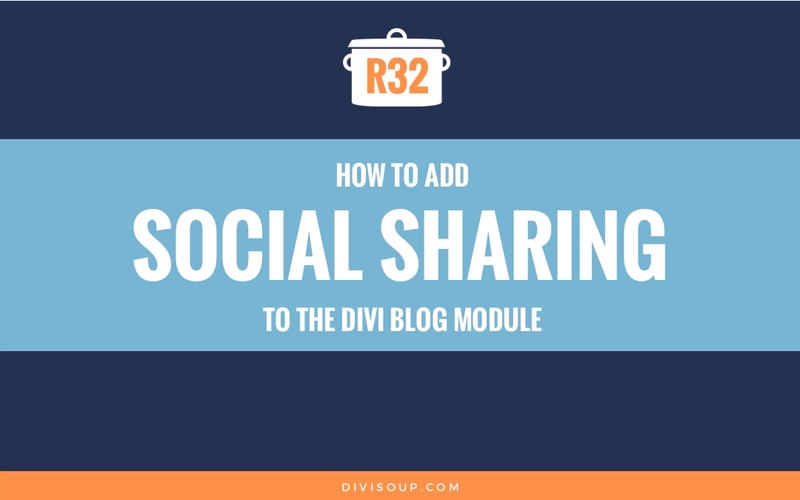 First we are going to add the avatar to the Divi blog module. To do that we need to create our own custom module, that’s where the cbm.php file comes in. 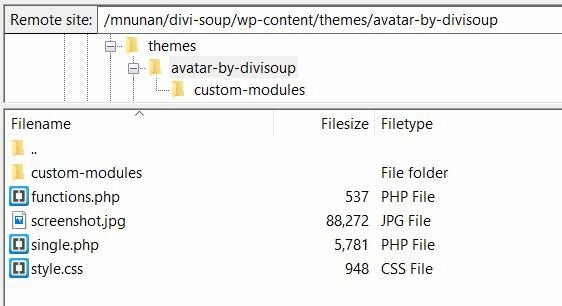 In your unzipped Divi theme folder, navigate to Divi > Includes > Builder > main-modules.php and open up that file. Then directly beneath that, paste in the module code from main-modules.php between lines 11868 and 12962 (approx) as mentioned just now. This creates a container just before the post title and outputs the avatar of the post author by their user ID and sets a width of 64px. Now save your cbm.php file and close it. If this part has you a bit flustered, then you can just use the code in the toggle below. Open it up and paste the entire contents from the toggle into your empty cbm.php file. * Cached $wp_filter so it can be restored at the end of the callback. 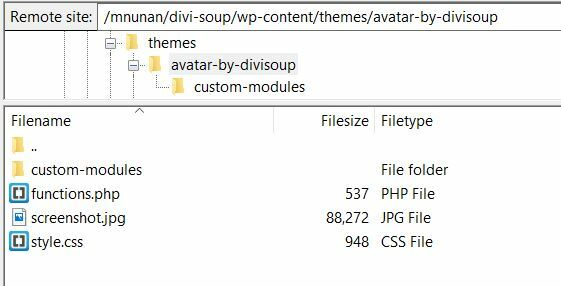 What we are doing here is telling WordPress to replace the default Divi Blog Module with the custom one we just created in our cbm.php file. Next we are going to give our blog module a custom class. 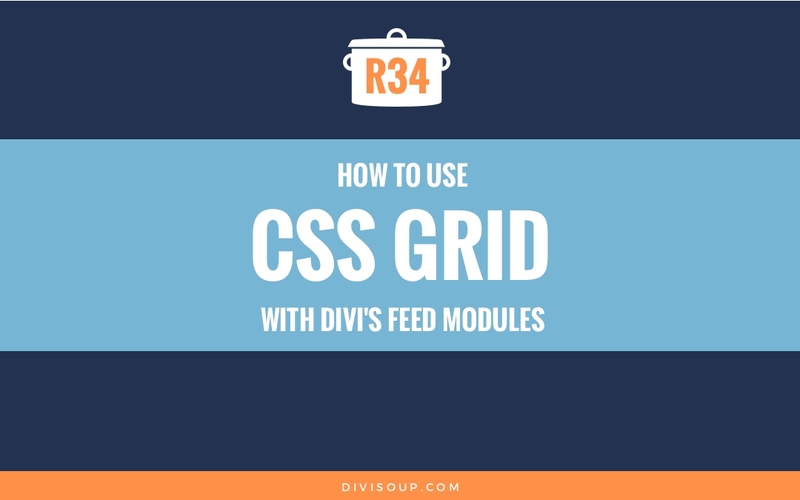 Open the module settings on your page and in the Custom CSS tab give your module a class of ds-avatar-grid if you are using the grid layout, or ds-avatar-fullwidth if you are using the fullwidth layout. 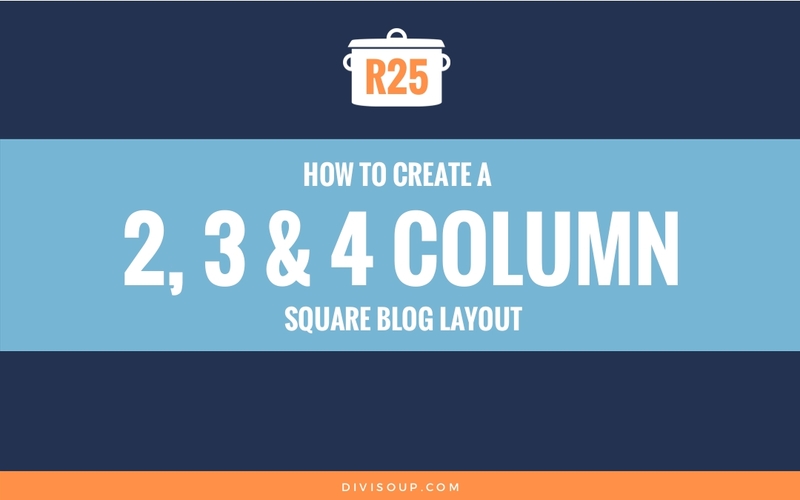 Next, copy and paste the CSS for the blog layout you are using from the corresponding toggle below into your child theme stylesheet. 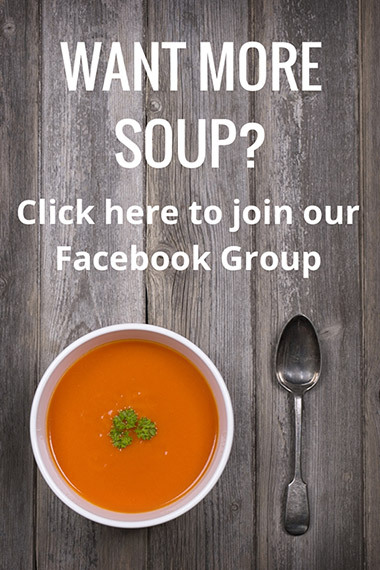 All we are doing is positioning the container we created for our avatar and setting it’s width, adding a border radius to make our image round and then clearing the float so the post excerpt sits below our avatar. Now we need to upload our files. So either in FTP or cPanel, upload your modified style.css and functions.php files to your child theme folder. Then also upload the custom-modules folder we created containing the cbm.php file. If you have difficulty with this I have added the full code for the single.php file in the toggle below, so you can just replace everything in single.php with the code in the toggle. 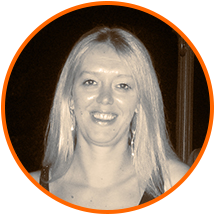 We are doing the same as we did with our custom cbm.php file, adding a new container to hold our author avatar. When you are done save and close the file. Next a little CSS for the single posts. Add the CSS from the toggle below to your child theme stylesheet. This CSS does pretty much the same as our module CSS, except we don’t need to clear the float as the post content is displayed below the featured image. Save and close your stylesheet. Finally we need to upload our files. So either in FTP or cPanel, upload your modified style.css and new single.php file to your child theme folder. 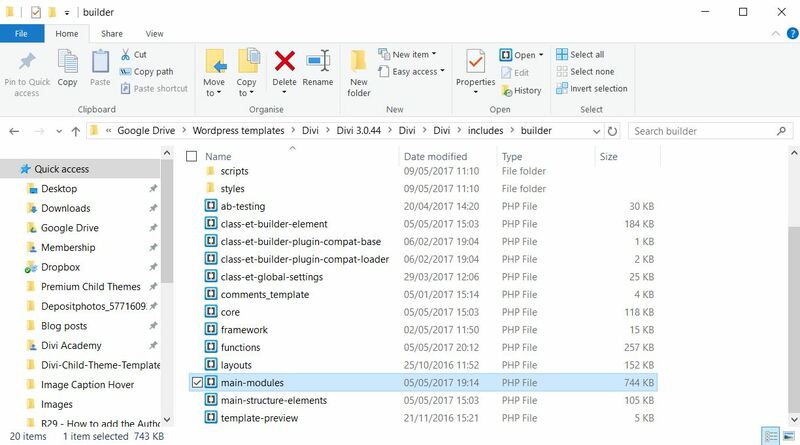 This is designed to work with both Grid and Fullwidth Blog modules, however, recent Divi updates changed the structure of the main-modules.php file and now all modules have their own PHP file so that needs to be taken into account and modifcations made to the structure of the files. If you replicate the new Divi file structure all should work as expected. I have tried to get this working with the grid format, however, it does not work. 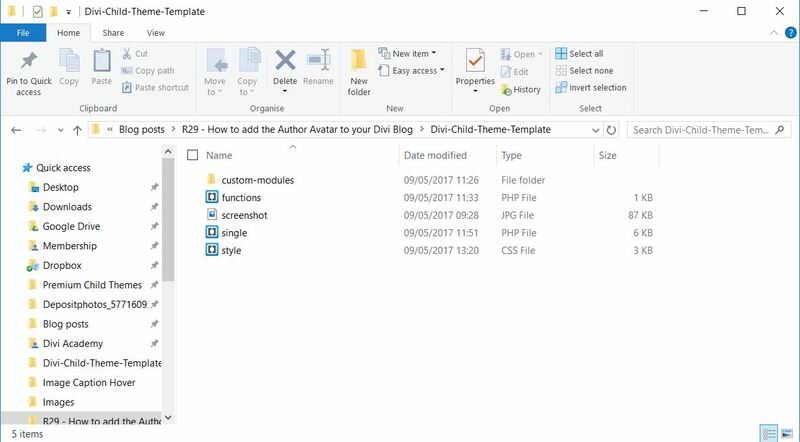 I copied the code from the module/Blog.php file in the Divi master theme and used that within the cbm.php file in my child theme. I then made the changes to the file outlined in the article and that still did not work. Do you have any suggestions on how to solve this issue? Further to this, I know that the cbm.php file is working on the child them as I have changed the excerpt length for the blog posts. I installed the avatar child theme and everything works correctly, but I have a problem, when I want to see one of the categories of the entries, the page goes blank. I’ve done a thousand tests and deactivated the child theme avatar, if that shows the entries of each category, so I deduce that it is a child theme problem. I can’t see the problem I am afraid, it is working fine for me ? Sorry! I have solved the HTTP ERROR 500. But Avatar shows a square. How to show rounded? I am facing the same problem, how did you solve it? When I add the given PHP beneath <?php tag to my function.php, it gives me HTTP ERROR 500. WOW! Wonderful idea Michelle !! !